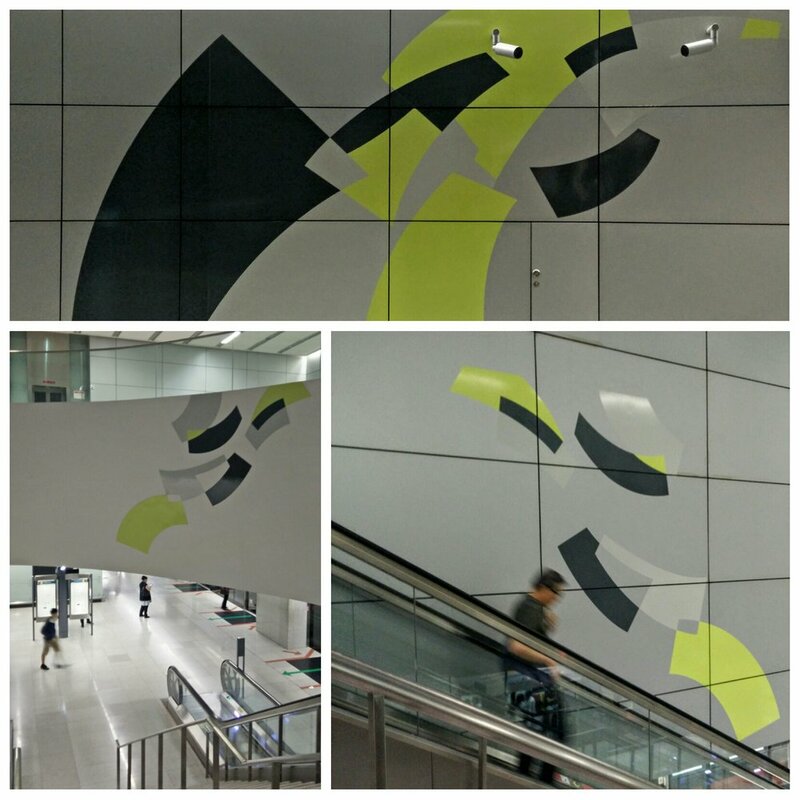 Art in cities - why and how? 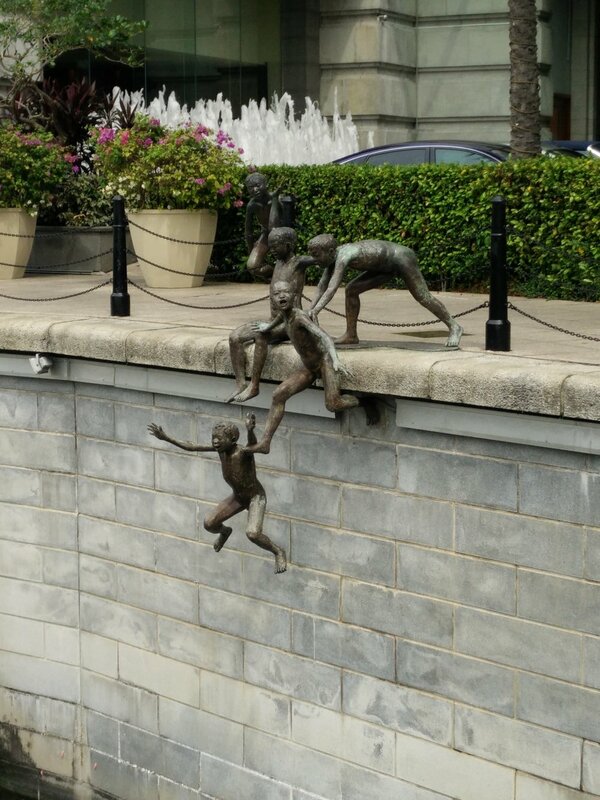 Why do cities today invest in public art? What should be its role? How is the collaboration between the art world and the field of city planning best organized? Join me on a trip to Singapore this October to find out! Are there opportunities for artists inside the design field? - Well, it's up to us. Join the discussion with me and one of the most successful architects in Singapore, Franklin Po. 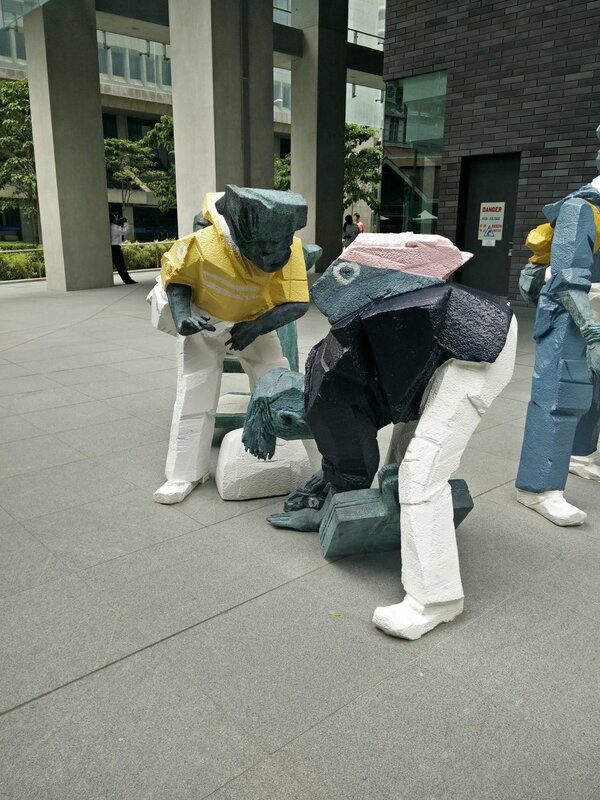 From tax incentives for developers, to creating moments for young local artists to shine - a look into the public art practices of Singapore with the Public Art Trust, an initiative by the National Arts Council. "Yes, it works in Amsterdam, but we have __________ , won't it be a problem?" Join me and local experts in a discussion about biking in Singapore. Who is writing this and why? 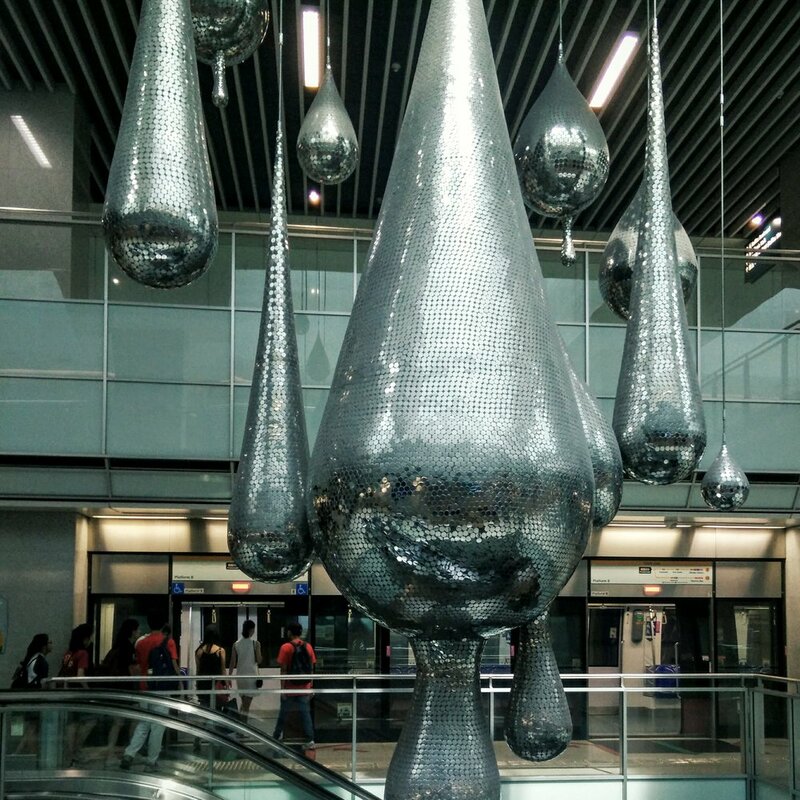 This research project on the public art scene in Singapore is an independent study conducted by artist & architect Maija Kovari (read her bio here), during October 2016. In this one month project, she will study the local public art on site and meet professionals in contemporary art and urban planning. The project has received funding from the Arts Promotion Centre Finland, and Greta & William Lehtisen Säätiö. In general, both Finland and Singapore are highly developed, well maintained, law abiding and safe countries, with relatively small populations and high standards of living. The first time I came here, I instantly felt like home. Everything is just so practical and clear. But without getting further into cultural analysis, since there might be some who know close to nothing about the other country, here are some facts to put you on the map. I feel very strongly, that in the future of our cities, not only functionality, but an ability to create meaning and a feeling of belonging will separate the cities that thrive from those that fall. 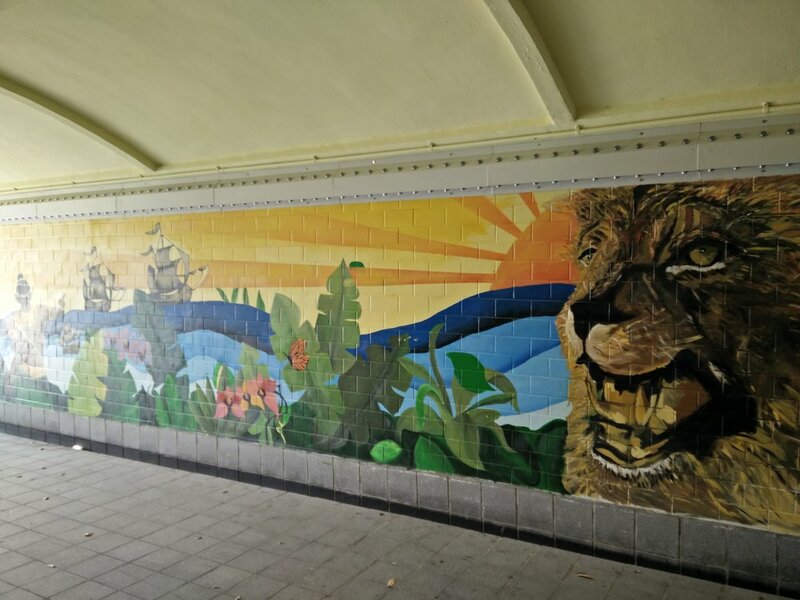 I wonder, if art could be one of the solutions to creating cities that unite the increasingly culturally mixed populations, showing us our similarities and shared humanity? If so, how could both the art world and the world of city planning be better adapt for collaboration? Sir Thomas Stamford Raffles, a British statesman, pictured at his first landing site to Singapore in the 19th century. In 2000, an art project by Lee Wen let people photograph themselves on the level of Raffels. 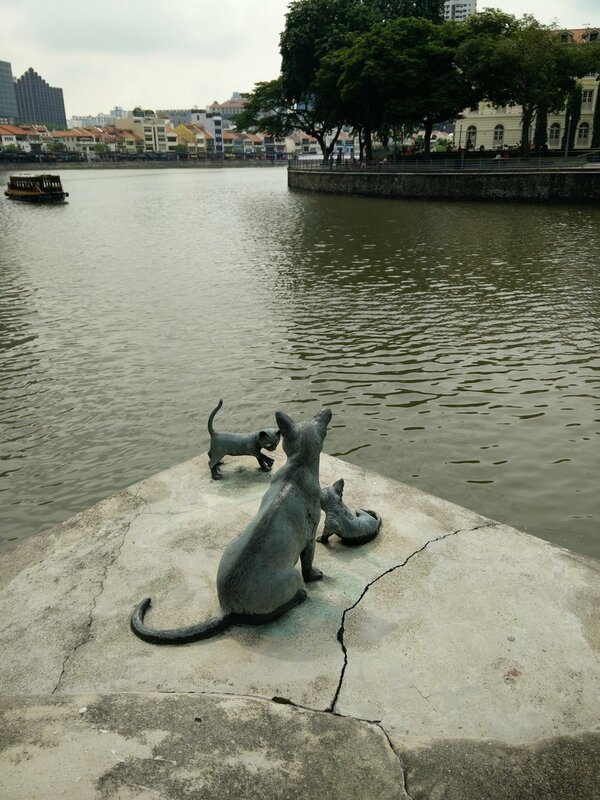 A nostalgic, 2014 commissioned sculpture by Lim Soo Ngee depicts a family enjoying a day on the Esplanade waterfront area. The thinker keeps thinking - a 1998 reproduction of the August Rodin classic is situated near a business / commercial center. Window of Hope by Sun Yu-li. The construction of the Circle line included an extensive art program, featuring new works on every station - read more about it in the book "Art In Transit"
Notice the fireman on the balcony of the old fire station - a nice extra touch!